For the last decade, Rippowam Cisqua School's critically acclaimed Foundations of Education Series (FES) has featured informative lectures on how to raise successful, lifelong learners. FES creates a meaningful dialogue between educators, parents, and students to elevate the conversation around educational and socio-emotional topics affecting children. Each year we invite bestselling authors, professors, medical professionals, and educational leaders, to deliver valuable insights that move families forward. Audience members leave with actionable tools and advice they can apply in real-world situations and a stronger connection to the community in which they live, play and work. FES events are open to the public. 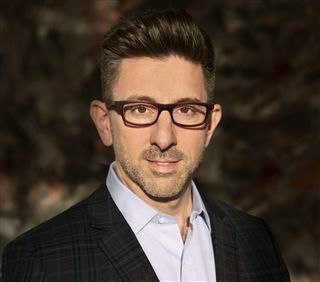 Marc Brackett, Ph.D., is founding director of the Yale Center for Emotional Intelligence and professor in the Child Study Center at Yale University. His research focuses on the role of emotions and emotional intelligence in learning, decision making, creativity, relationships, health, and performance. Marc is the lead developer of RULER, an evidence-based, systemic approach to SEL that has been adopted by over 2,000 preschool to high schools across the United States and in other countries. He has published 125 scholarly articles and received numerous awards. He also is on the board of directors for the Collaborative for Academic, Social, and Emotional Learning (CASEL). Marc consults regularly with corporations like Facebook, Microsoft, and Google on integrating emotional intelligence principles into employee training and product design. He also is co-founder of Oji Life Lab, a corporate learning firm that develops innovative digital learning systems for emotional intelligence. He is the author of Permission to Feel (Macmillan/Celadon), which will be released in September of 2019. Dr. Lisa Damour is a psychologist, best-selling author, monthly New York Times columnist, and regular contributor to CBS News. She blends years of experience with the latest research developments to provide sound, practical guidance to children and adolescents as well as their parents, teachers, and advocates. Books: Untangled: Guiding Teenage Girls Through the Seven Transitions into Adulthood, Under Pressure: Confronting the Epidemic of Stress and Anxiety in Girls. FES Topics: Under Pressure: Parenting in an Age of Anxiety; Untangled: Guiding Parents and Teens Through the Challenges of Adolescence. Learn more about Dr. Lisa Damour here. For nearly thirty-five years, Michael Thompson has worked as a clinical psychologist, school consultant and international speaker on the subjects of children, schools and parenting. He has authored nine books focusing on the emotional lives of boys, friendships and social cruelty in childhood, the impact of summer camp experiences on child development, the tensions that arise in the parent-teacher relationships, and psychological aspects of school leadership. Learn more about Dr. Michael Thompson. Peg Tyre is a longtime education journalist and the best-selling author of two books on education. She is also director of strategy for The Edwin Gould Foundation, which invests in organizations that get low-income students to and through college. Tyre is currently at work on a book about literacy. Emily Weinstein studies how social technologies shape the lives of kids and teens. Her work appears in numerous academic journals and her research has been covered by popular publications such as TIME, The Atlantic, The Huffington Post, and The Boston Globe. Outside of her academic work, Emily collaborates with Common Sense Media on the development of free programs and resources related to digital citizenship; she also works regularly with teens, families, and schools. Current Work: Emily is a postdoctoral fellow at Project Zero, a research center at the Harvard Graduate School of Education. Her current project, in collaboration with Carrie James and Howard Gardner, examines the personal, moral, ethical, and civic dilemmas of tweens’ and teens’ digital lives, with a focus on pedagogical approaches to support digital citizenship. Learn more about Dr. Emily Weinstein here. Recent research has demonstrated dramatic, hardwired differences between females and males in their ability to smell; in how they hear; in how they see; in how girls and boys acquire language; and in the trajectories of brain development. New York Times bestselling author Dr. Leonard Sax shares how understanding gender differences can help parents develop stronger relationships with their children. Drawing on his 26 years of clinical experience as a psychologist and family physician, Dr. Sax presents familiar scenarios and discusses how gender affects perception. Learn more about Dr. Leonard Sax. Ron Lieber is the the “Your Money” columnist for The New York Times and the author of The Opposite of Spoiled: Raising Kids Who Are Grounded, Generous, and Smart About Money, which was an instant New York Times and Wall Street Journal bestseller when it was released in 2015. Priop to joining The Times, Ron wrote the “Green Thumb” personal finance column for The Wall Street Journal and was part of the startup team at the paper’s Personal Journal section. The Opposite of Spoiled is all about how, when and why to talk to kids about money, whether they are 3 years old or teenagers. Written in a warm, accessible voice, grounded in real-world experience and stories from families with a range of incomes,The Opposite of Spoiled is both a practical guidebook and a values-based philosophy. Learn more about Ron Leiber here.